Adorable Little Kid Boy Painting Big Paper House With Colorful Paintbox. Children Having Fun Outdoors. Creative Leisure, Preschool Project For Pupil. Royalty Free Fotografie A Reklamní Fotografie. Image 47230845. 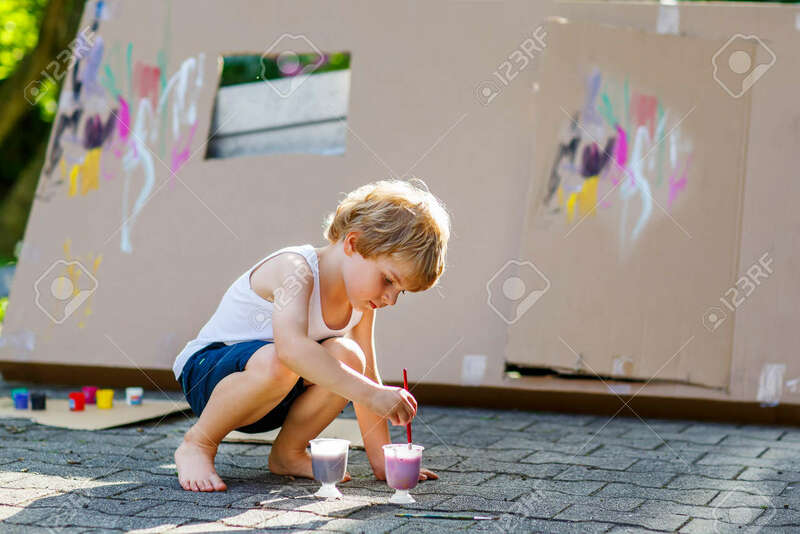 Reklamní fotografie - Adorable little kid boy painting big paper house with colorful paintbox. Children having fun outdoors. Creative leisure, preschool project for pupil. Adorable little kid boy painting big paper house with colorful paintbox. Children having fun outdoors. Creative leisure, preschool project for pupil.